A website seems useless even if it has quality content and an excellent web design but no visitors to the site. The primary goal of any business is to drive quality traffic to the site; search engine optimization (SEO) helps you in achieving this goal. Keywords play a major role in driving traffic to your site and also help you to achieve a better ranking. Keyword research is a process where you need to research relevant keywords for your site that are most likely to be used by your visitors and then select the best keyword that gives a balance between the keyword popularity and competitiveness of the keyword. You can also take the help of Digital media agency to achieve better results. Once you select the keyword your next step is to use the keyword effectively; you need to be very particular in placing the keywords throughout your site. Make sure that you use the keyword in the title as well as the content; this will make your content more SEO friendly and get a good ranking for your site. Remember that including excessive keywords will label you as a spammer to the search engines. Link building is a great way to increase your ranking on the search engines; the greater the number of incoming link the better your site’s ranking will be. But it is important that all the backlinks to your site are relevant to your niche, otherwise the results will oppose you and you will fail in achieving your goal. 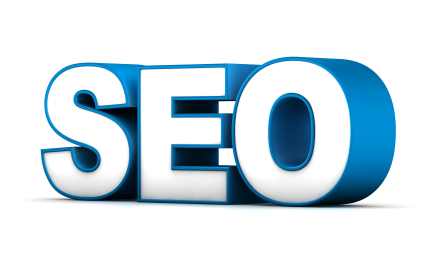 Try to get links from quality websites with a greater PageRank. A site map is nothing but making a list of all the pages of your site and linking them together. This will not only help the crawlers to easily find your site and crawl through it for indexing but will also help your readers to easily locate the content page that they are looking for. Make your URL descriptive such that it describes the idea of the website, making it useful for the visitors as well as the search engines. Having the keyword in the URL will help in getting a good ranking for the page and will also serve as its own anchor text when it is copied to a forum. Social media networks will help you in achieving the maximum traffic to your site; you can post the articles on Facebook and twitter and promote your business. You can also allow different unique content to be posted on your site by using these platforms.